Yes, I know one of them is an octopus and not a squid/calamari. 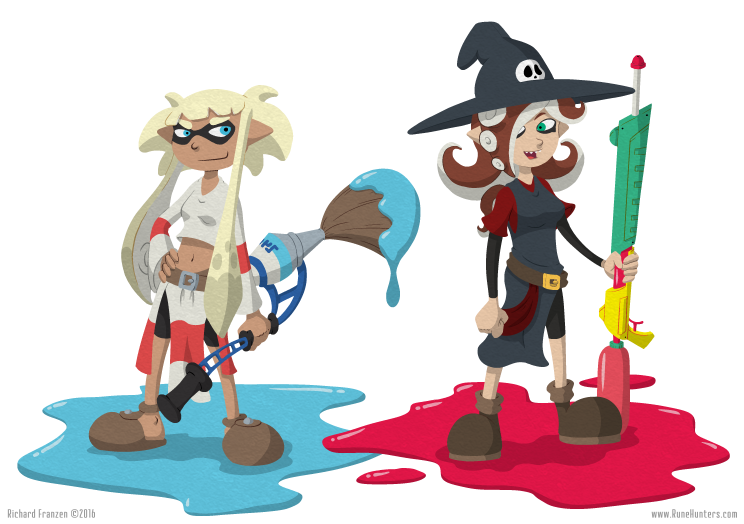 With the long awaited Nintendo Switch finally being revealed a few weeks ago, I did a Splatoon x Rune Hunters crossover picture to celebrate. Or I guess you could call it Splatoon Hunters. Well whatever, I hope that you enjoy!